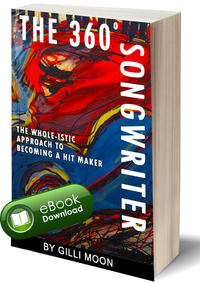 to power up your music career and become a successful artist entrepreneur. Get clear with who you are, create your vision and plan, get known, rock your creative business, and getting out there! I am an artist entrepreneur and creative business coach and strategist. I am a creative warrior. I live and breathe my dream as an artist creating awesome, hopefully awe-inspiring, products and projects for the world. But when I’m not in the studio, on stage performing, writing a song, or painting a painting, I work with artists worldwide, through The Creative Warrior Academy to BUILD their personal and professional dreams, to achieve their goals, develop skills, and empower them towards the life they've ALWAYS imagined. I do all of this while living my OWN dream of performing and creating. I’m going to share with you an amazing way for you as an artist or creative seeker to POWER UP your creativity and your Business, in order for YOU to achieve the life YOU’VE always imagined. Imagine if you could have everything you dreamed. What if you could envision a life that you always wanted, and have it? Let me show you how to get out of the OLD WORLD paradigm of waiting for others to deliver a faded notion of success to The New world where YOU can do it yourself, create a THRIVING, abundant and financially profitable creative business and shine. All it takes is desire. Your desire to want it. You desire to take the FIRST Steps. Sometimes we just need a little confidence,… a little courage…. a sense of MOVING FORWARD. Ultimately we want to feel POWERFUL. The powerful creative warrior that you are. Power up your creativity and your business as an artist and achieve the LIFE you've always imagined. I have opened up enrollment to my Creative Warrior POWER UP Program. I am so thrilled that thousands of artists have enjoyed my coaching, workshops and products all around the world. I get to talk at music conferences, I run my own Workshops, Courses (in person and online), have sold thousands of my books that EMPOWER artists to BECOME the successful artist entrepreneur they strive to be,… and I have one-on-one artist clients who are thriving working with me, as much as I thrive to coach them. Everything that has brought me here today, I want to show YOU how I did it, and how you can do it. I’ve wrapped it up in my Creative Warrior POWER UP Program. A 4 week home study Program for purpose driven artist entrepreneurs, artists and creative seekers who want to power up their knowledge, business and opportunities as a creative seeker. My Creative Warrior POWER UP Program is tailored around you, and where you are at, building in strategies and goals to help you take you to new heights. Light a fire in your heart & mind. Steer yourself or your business on a positive, dynamic and action-filled direction towards a higher purpose, greater passion and ultimate success. How Can POWER UP Help You? I am an artist entrepreneur. A creative warrior. I am also an Artist Coach and Creative Business Strategist. I am a world renowned Artist and the voice for creative entrepreneurial success, having created a global community of devoted followers, empowering artist entrepreneurs, songwriters and “creative warriors”, inspired by my unprecedented DIY artist success and my unparalleled expertise. I have already provided platforms for over 50,000 artists and creators to become engaged, enlightened and empowered - and my mission is to help you get engaged, feel enlightened, and become empowered. M goal is to work with you to build your personal or professional dream, to achieve your goals, develop your skills, and empower you towards a life or career you've ALWAYS imagined. I have created strategies and training through the Creative Warrior Power Up Program that provide easy to follow modules for you to gain the most impact, all the while "enjoying the journey" along the way, one of my mottos. I do this through online videos (actual workshops I have hosted/conducted with a live audience), plus some videos just me to you in front of the camera. Audio podcasts (some interviews, and some recorded just for you), lots of reading (I’m giving you my 2 books, plus several shorter eBOOKS) - all through a dedicated online Power Up Portal. Who is POWER UP for? The Creative Warrior Power Up Program is ideal as a jumpstart for those of you launching as a Creative Entrepreneur, or as a supplement to your coaching program with me. It's the perfect starting place if you ultimately want to level up into my Mastermind or VIP programs. This Power Up Program the foundation you need to get clear with who you are, create your vision and plan, get known, rock your creative business, and getting out there! 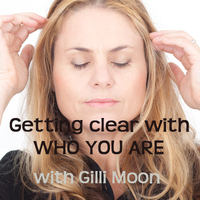 Instant access to the Gilli and the private Creative Warrior Facebook Group. Ask questions, get answers, and get support along the way, direct from Gilli and other creative warriors on the journey with you. Providing a first glance into Gilli's perspective on being the artist entrepreneur and a consummate creative warrior with her 18 principles. 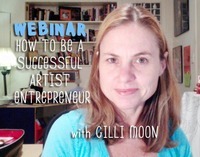 Achieving Abundance, Self-Empowerment and Professional Success as an Artist Entrepreneur. A Step by Step Audio Workshop on exploring your creative talents and pursuing excellence as a Professional Artist. Following the message in Gilli Moon's book "Just Get Out There", this workshop is a candid and intimate hour with Gilli, for Artists and Musicians, to Achieve Success and Self-Empowerment as a Warrior Artist Entrepreneur. Getting Your Songs in Film, Television, Advertising, and New Media has never been easier. 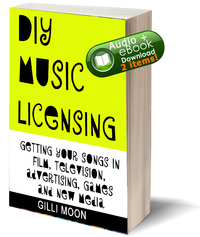 Download Gilli Moon's Audio Podcast and read her complimentary eBook on how to get your songs licensed DIY (Doing it Yourself). 15 pages of packed information just for you. With my Audio podcast, you will listen as I conduct a live workshop to a dedicated, small audience, on my DIY Licensing Tips and Tools. This audio is 1 hour long! BONUS 1: A special bonus for being part of the Creative Warrior Power Up Program: listen to gilli talk candidly in an interview just recently about her rise as a DIY (doing it yourself) Artist, and what special tools and tricks she has up her sleeve to keep sane, keep successful, and survive the jungle that is the music industry. From her sleepy mountain top living as a child in Australia, to making her way to Los Angeles, to building her own record company and artist communities worldwide, Gilli talks about key principles and strategies she has used and continues to use as an artist entrepreneur in the DIY world. 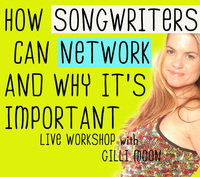 If you're embarking or have started running your own business in the music business, or any entertainment business, this is a must listen, and a great entry point to know a little about gilli moon and how she thinks. 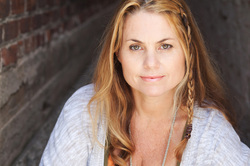 Bonus 2: Another cool bonus for being part of the Creative Warrior Power Up Program: listen to Gilli interview her friend and leading keynote speaker, Deborah Bishop, about GETTING CLEAR WITH WHO YOU ARE. Bonus 3: Download the PDF whitepaper, which includes my 9 strategies for Getting Bliss. Plus, it includes a 1 week plan for you to try every day. Watch the video and read the whitepaper together, to fully grasp your BLISS plan. + Template to create your own Artist Business Plan! Bonus 4: The Creative Warrior Academy - Life Passion-Business Plan is an integral “manifesto” to have as you jettison towards your dreams. Creating your PLAN will set the wind in your sails to leap forward into the future. Whether you decide to uplevel into my Mastermind or VIP programs, or just GET OUT THERE on your own accord, having a plan in your hand will define your path - your ROADMAP - to get to your dreams. AND Gilli Moon will provide FEEDBACK on your completed plan! - Value: Priceless! Resources that Gilli finds EVERY WEEK, she shares with Power Up Customers to help in their artistic careers. You will also get instant updates from Gilli when she posts on her blog, or adds new content (free to you! ), or has an opportunity for you. And remember, as above, you are connected with her in the Private Facebook Group, to ask ANY QUESTION about your career or artistry. Take these at your own speed, at your own accord, in your own time. Each program is offered at a pace so that you start with one and move to another. Also, by Becoming a Creative Warrior Power Up Artist, you can up-level to Gilli's 1:1 coaching and special Mastermind programs. Your artistic and creative business success awaits you! Join a community of purpose-driven artist entrepreneurs, artists and creative seekers who want to power up their knowledge, business and opportunities as a creative warrior. I've had the privilege of knowing Gilli Moon for a long time. I've worked with her one-on-one as a client, and I've had honor of going through the Power Up program, and I can tell you that I have never seen a program that is going to take you, the creative person that you are, and show you how to get your art, your music, your writing, your performance, out of your living room and onto the world stage, where you can actually have a career doing what you love, and the best part of it all is it's not speculation. It's not theory. It's stuff that Gilli herself has done. She has put in the blood and sweat equity, guys, and she's giving you all she's got to show you how to get yourself where you want to be, because let's face it your passion is there for a reason, and the world deserves to hear your voice or witness your art. So this is the place to start. If you've got questions, if you're wondering what to do next, all of the answers are in the Creative Warrior Power Up program. So what are you waiting for? This is the thing that is going to help you to launch and take you to the next level where you deserve to be... Since being a part of this program I have found the bonus material alone, is worth the price of admission." "Gilli Moon's Creative Warrior Power Up Program immerses you in a "You Can Do This" selection of podcasts, ebooks and video content as soon as you sign up and is a really great way to make yourself re-think negative old behavior around being functionally and financially creative and working in both the art and music industries. 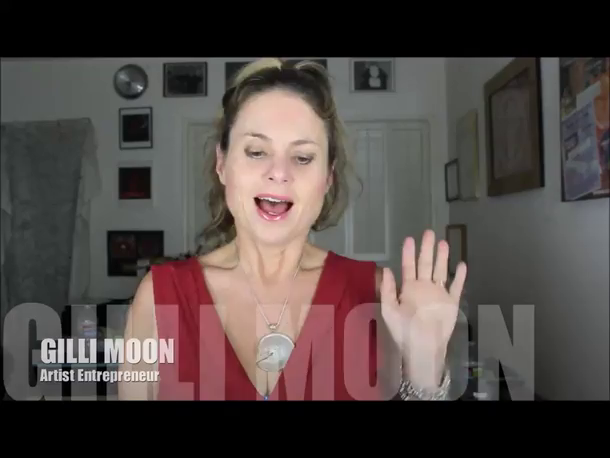 All the content and support is easily and permanently accessible with a private facebook group, forums and help for artist entrepreneurs who may just need a little push in the right direction.Gilli Moon brings her many years of experiences as a self-marketing artist and singer-songwriter together, and uses her journey to inform and coach artists in a variety of ways. 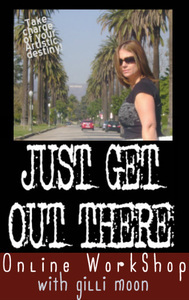 Invaluable help and advice about starting out, how to "Just Get Out There” and how to keep yourself motivated. As a long term artist I'm feeling much more assertive, empowered and creative in all my artistic endeavours since I joined the program and would recommend it to everyone who is feeling blocked or doubtful or just needs a good kick to get started on their artists way. As an artist and singer who always finds reasons not to take the leap artistically, the Power Up Program has really helped me to look at what has been keeping me back, what my dreams and goals are and how I can achieve them. Gilli's approach is positive, down to earth and fun, she is full of great stories, motivational quotes and really gets into what you need to think, do and work on! The Creative Warrior Power Up Program is a must for any artist who wants to have success on their own terms and get their art out there into the world. I can’t praise it enough – I love it! The content is just gold! And it’s ongoing – once you have finished the program you still have the content, you still have access to the private Facebook page. How amazing is that! This program allowed me to sit back and take stock of who I really am, what I really want and how I am going to move forward to get there. I explored my dreams, my goals, my passion, my thoughts and feelings on who I am as an Artist. With Gilli’s guidance, I was able to get all of my artistic nebulous thought patterns out of the air and put them down on paper and given them substance. And bang! There they were in a form I could work with, organize, formulate goals and strategies from. It was only then that I could start to make things happen. I love Gilli’s phrase Optimism + Organised = Opportunity. I now have an organized passion to get out there and take my Artistry to the world. And I know how to do it. This program has lots of exercises along the way that make each step seem so easy. I now wonder why I used to think it was so hard! This program has action steps, business info, all that you would want and need to know to create your own success. It also reminds you that you are a big part of the equation. I now know that if I work on my self, work on my art, work on my business and take action, I will find my version of success that I am reaching for. 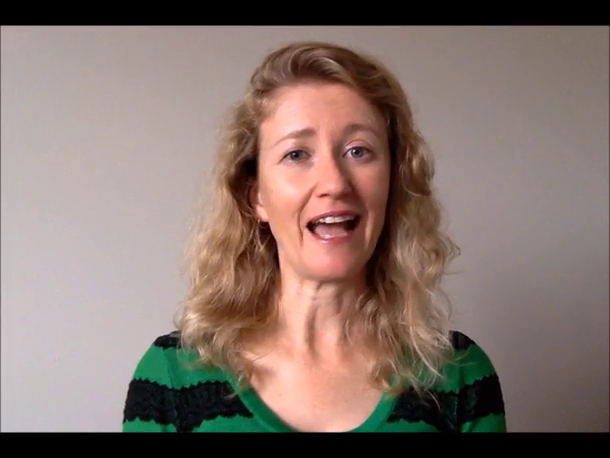 "I just took Gilli Moon's Creative Warrior Power Up program. Quite simply, it changed my life. I've always been the creator. I've always been the artist, but my business savvy...it's always been lacking. This Power Up program was the perfect solution. She helped me reach my goals. She helped me set plans to get to those goals. The videos she had...they're clear, direct, and inspiring, so even someone like me can understand it. 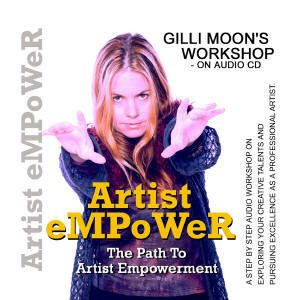 Quite simply, Gilli Moon, we know her as a world class artist, but she's also a genius coach. You put those two things together...that's a perfect combination of one stop shop for me. She took me from A to Z on how to become a professional artist and to get paid for my art, and I never thought that would have happened, but thanks to the Creative Warrior Power Up program, it did." If by Day 10, you don't like it, or don't think you're getting something out of it, I WILL GIVE ALL YOUR MONEY BACK! Flat rate. No end date. Instant Access. Access forever. 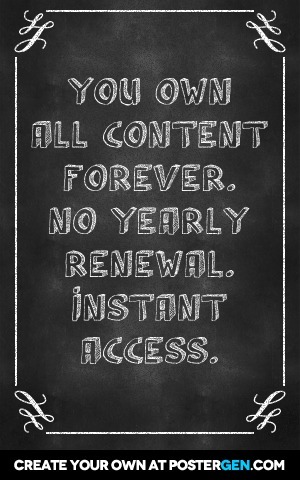 You own all content forever. No yearly renewal. Instant Access. But you won't pay this price!!! Enroll in the Creative Warrior Power Up - 4 week home study Program (or take your time + own the content forever). Tools, Videos, Content, Training valued over $3,350. Yours to keep forever for $997.